8 1/2" overall. 4 3/8" black stonewash finish 8Cr13MoV stainless spear point blade with a sharpened upper grind. Full, extended tang with lanyard slot. 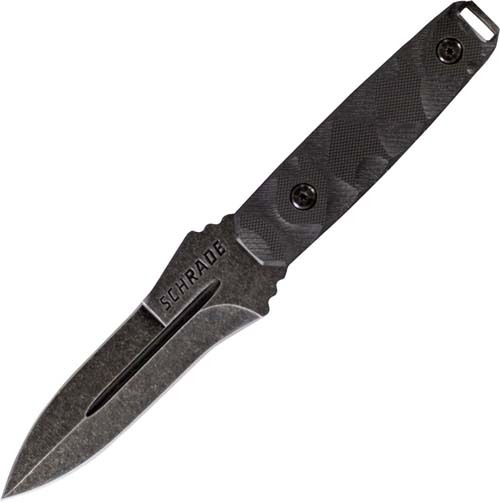 Sculpted black G-10 handles. Black Kydex belt sheath with multiple carry options.